Every artist has a favorite standard, a touchstone they come back to when they’re warming up, playing with new friends, or just having fun. Sometimes that song is what inspired them to start down a musical path in the first place, or maybe it just reminds them of home, a loved one, or a specific moment in time. We asked a few artists to tell us about the songs that have a permanent spot in their personal set list. 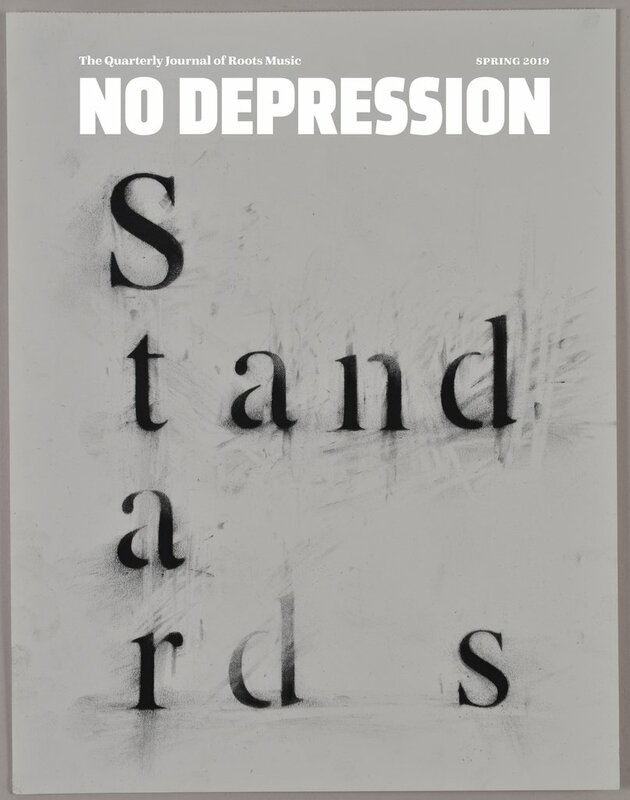 You can find even more “Gold Standards” in the pages of our Spring 2019 print journal, Standards & Stanzas, in which we explore the many ways that music and words intersect. This is actually a tough assignment, because there are so many kinds of standards in my life. And because a lot of them are not typically played on banjo, I love the experience of learning and playing them. Playing a Bach partita on the banjo certainly qualifies, and so does playing a Charlie Parker jazz standard like “An Oscar for Treadwell” or “Spain,” which I get to play from time to time with the composer Chick Corea. But for the three-finger banjoist, there can be nothing more potent than exploring the Earl Scruggs banjo standards such as “Groundspeed,” “Randy Lynn Rag,” or “Flint Hill Special.” Hey, everything Earl wrote is essential for the three-finger player. Standards for me are the pieces that have stayed around through the years to become building blocks of each particular genre. When we play with new people, standards are the common ground that allow us to get to know each other almost instantly and start the musical dialogue. Sometimes there are pieces that are standards in more than one genre. I’m thinking of “Bugle Call Rag,” which was first played in the jazz world, but also became very popular in an Earl Scruggs banjo rendition. Although it’s very rare, when this happens it can tie genres together in a fascinating way. Our classic cover is maybe an unlikely one, “Just Like Heaven” by The Cure. A few years back we heard a top 100 of all time and this song came on the radio. Nostalgia rang out and we talked about how much we both loved the tune. After plucking out the chords, we started singing, slowed it down, and added a harmonica. Our producers who were working with us at the time thought we were crazy for wanting to record our version of this classic song, but we did it anyway and added to our album Fire Songs. It’s become one of our favorites to perform live and one of our most popular tracks. Just goes to show, strong lyrics and melody translate in any genre. 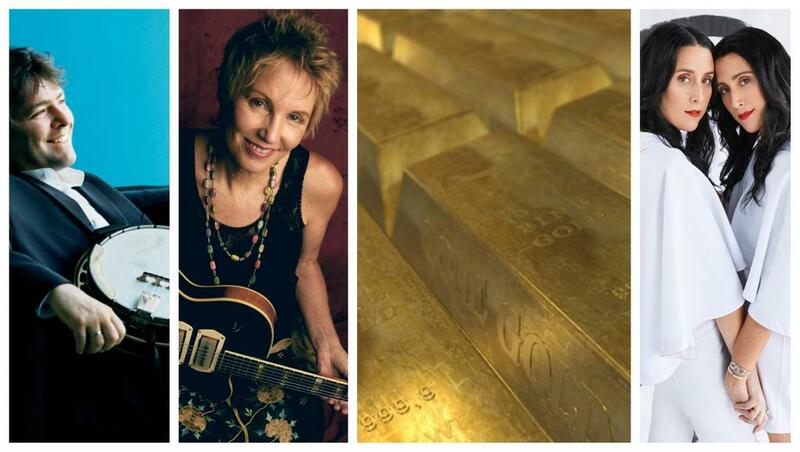 Dwight Yoakam’s “Guitars, Cadillacs” made a huge impression on me when it came out. It just seemed so fresh and new, and at the same time more traditional than just about anything else around, too. In fact, it did such a good job of seeming traditional that it probably doesn’t get enough credit for how innovative it was. That’s a pretty amazing trick to pull off — it feels like a throwback of some sort, and yet it doesn’t really sound like anything that came before it. Partly that’s because Pete Anderson’s production and guitar playing helped to redefine the rock-and-roll influence on country music. But I can’t think of too many forebears to a line like Dwight’s “There ain’t no glamour in this tinseled land of lost and wasted lives,” either. I do this song pretty often in live sets, and I definitely think of it as kind of a model for my own songwriting. I like to include “Shake Hands with Mother Again” in a lot of our sets. I consider it a standard because it’s in some old hymnals. I derived my version from Jimmy Martin, though. Besides the really unique harmonies on the chorus, there’s a bit of a backstory to why I hold this standard near to me. For one, my mother died when I was 10 years old, so I relate to it instantly and I get a sense of my mom’s presence. For two, Jim Orchard, the fella who taught me how to play, would stand at the foot of the steps in his home when I would visit and play the break to this song as loud as he possibly could on his old Gibson F-5 mandolin to wake me up in the mornings. There are a lot of memories tied to some of these old standards. I encourage people to dig around, dust one off, and make it their own. It’s always tough to pick just one, but if I was pressed, I would say my favorite song of all time is Percy Mayfield’s “Please Send Me Someone to Love.” There are so many great versions. The original is a gorgeous arrangement with Percy’s smooth-as-silk vocal delivery that’s peppered with a little bit of gravel in his bottom range. Jimmy Witherspoon called out these lyrics like a foghorn of soul. How can you go wrong with Aretha Franklin, Johnny Adams, or Ray Charles singing this one, too? And Freddie King did what he did best and injected some beautiful guitar work into the mix. Pick any version by those great artists and you will immediately hear how special this song is to the canon of the American songbook. The measure of any great song, and what can truly make it timeless, is when a lyric and melody can speak purely and nakedly to the human condition. This song hits it on every mark, and there’s no song around that I love to sing as much as this one. 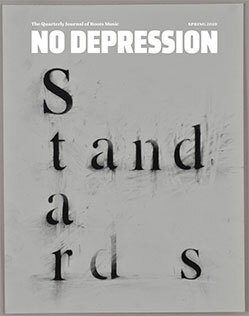 Subscribe to No Depression now and you’ll start with our Spring 2019 issue, filled with more Gold Standards plus over 100 pages of great music journalism. Learn more here.